The year 2016 carries a spiritual energy that is all about Generosity. 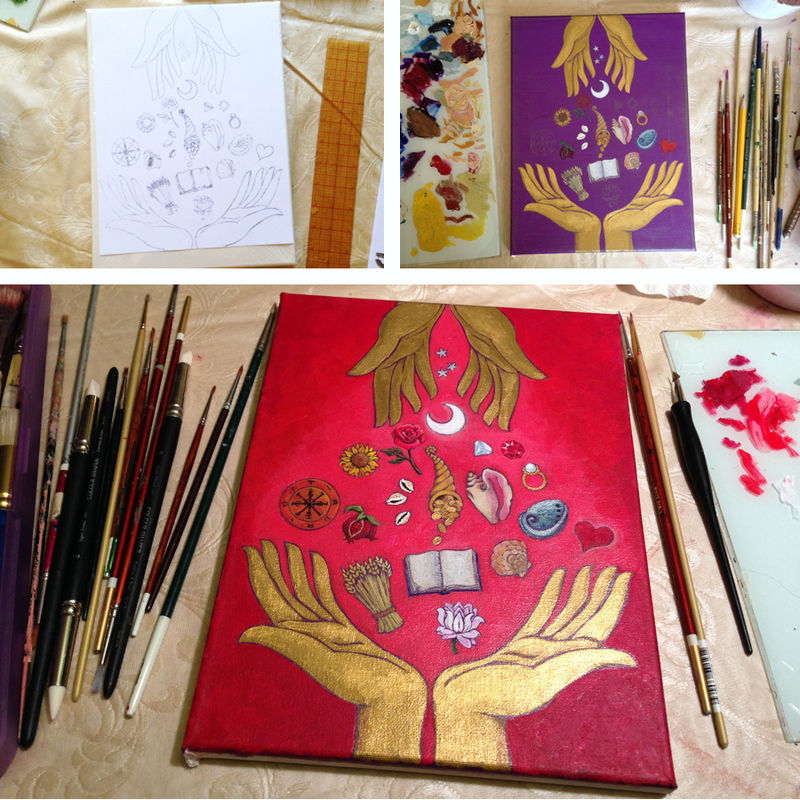 When Beatrex Quntanna approached me about creating artwork for her “2016 Moon Book”, the first image that came to mind was giving and receiving hands, with symbols of abundance flowing from one pair to the other. Don’t forget wealth and abundance are more than just money! In addition to researching things that were historically exchanged as currency, many symbols of what one might be generous with came to mind. I followed my intuition and settled on these. Inspired by the Buddha of Wealth, Dzambalah, the look of the hands is modeled after much of the Buddha statuary and art I’ve seen. 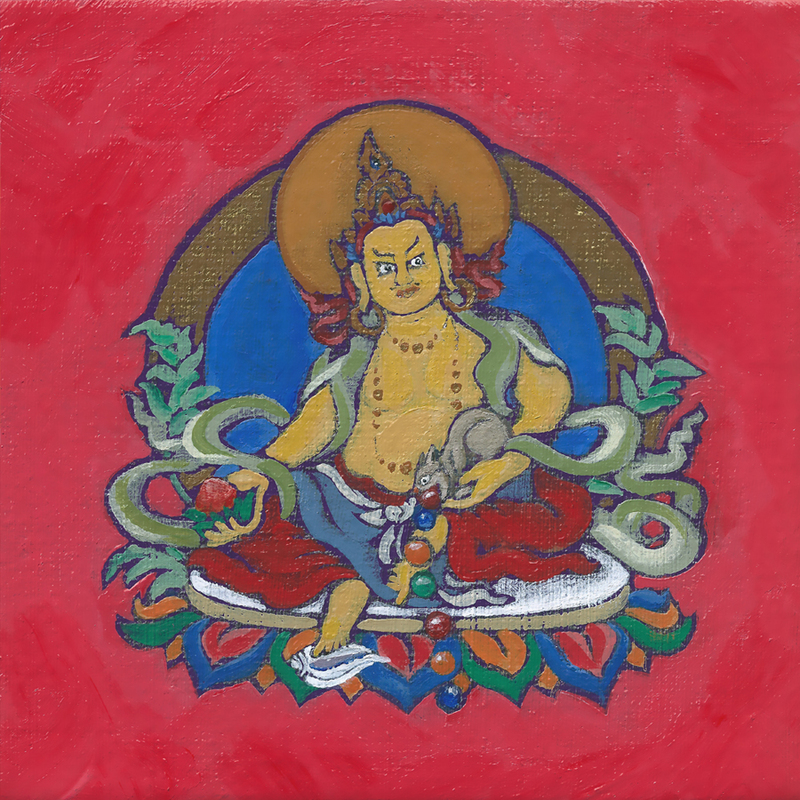 Chenrezig, the bodhisattva of Compassion, saw how being impoverished is a distraction from walking a spiritual path, and manifested as Dzambalah to bestow wealth, to alleviate suffering. I had the 8.5x11 inch cover in mind when I set out to paint this image, and I happened to have a small stack of 9x12 canvases on hand. It didn’t immediately occur to me I’d end up painting in miniature—which is no easy task! But the finished painting is bright and fun, so it was worth the effort, I’m quite happy with it. 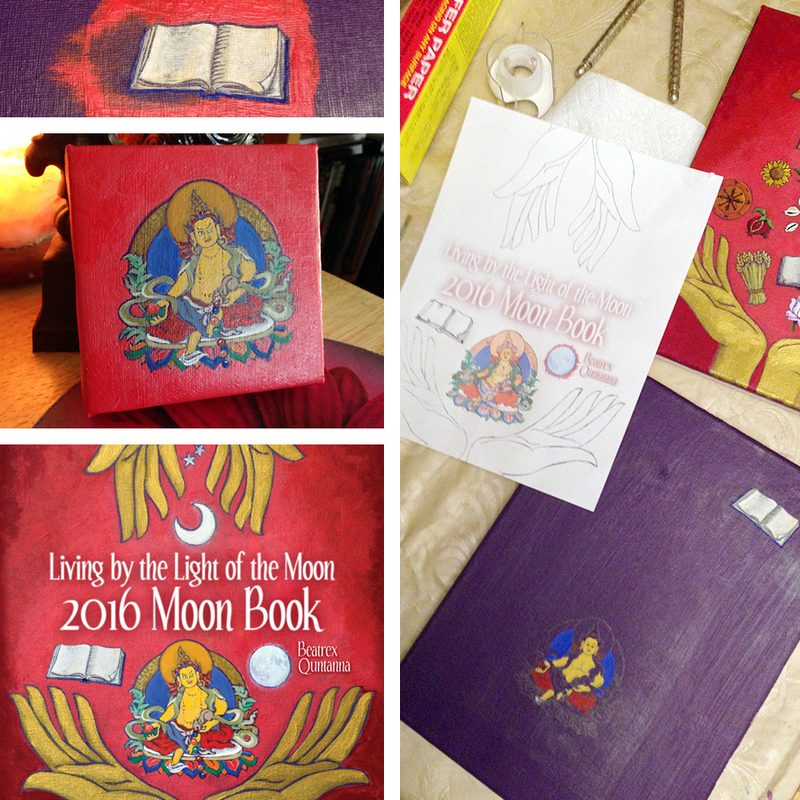 Beatrex requested an image of the Wealth Buddha on the cover of “The Moon Book”. I painted him separately, and through the magic of Photoshop, added him to the original artwork.